Ever since my days of watching Cityline after school, and obsessively following my favourite publishing icons on Twitter (still do), Dave Lackie has topped the list of local beauty stars. It's easy to immerse yourself in a subject, when it brings true joy into your life. This is how I feel about fashion and beauty, which is why I began blogging back in 2012. Over four years later, and over 350 posts in the books, I've wiggled my way into the world of publishing and landed my dream job in advertising. 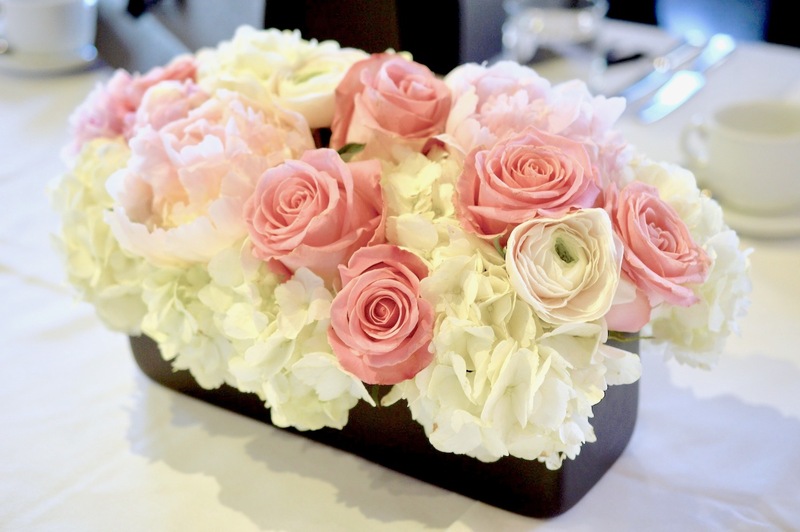 While still maintaining my hobby of blogging, I've been lucky to attend some awesome events. Dave is also one of the most influential people I've met in this wild world of beauty and publishing. Not only is he funny, nice and optimistic, he also gives so much time and effort to his community. Beginning as a total fangirl, it's wild to think that I now call him a friend. Between Cityline episodes, BEAUTY The Guide issues, and maintaining his own beauty site DaveLackie.com, Dave does it all. Sidenote: digital mag BEAUTY The Guide is available in both English and French, along with a US version. Congrats on your 50th issue! 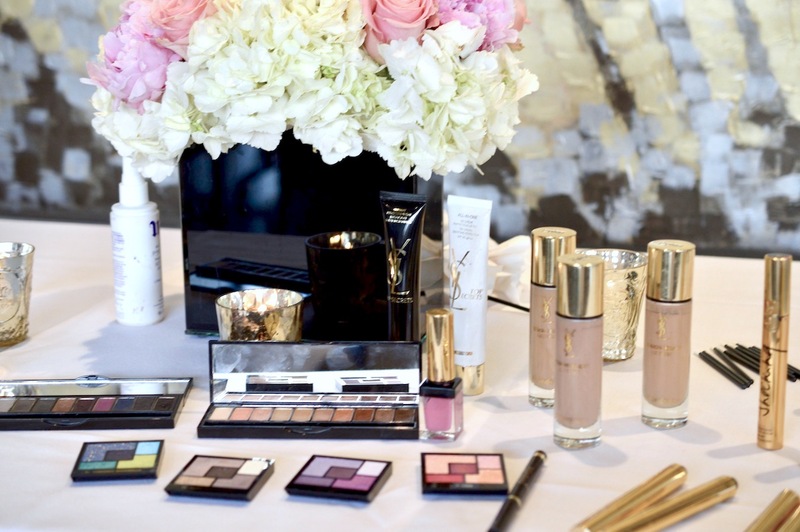 From Shiseido to Givenchy, Cityline and now YSL, I've been lucky to join Dave and his guests at the most beautiful events ever. 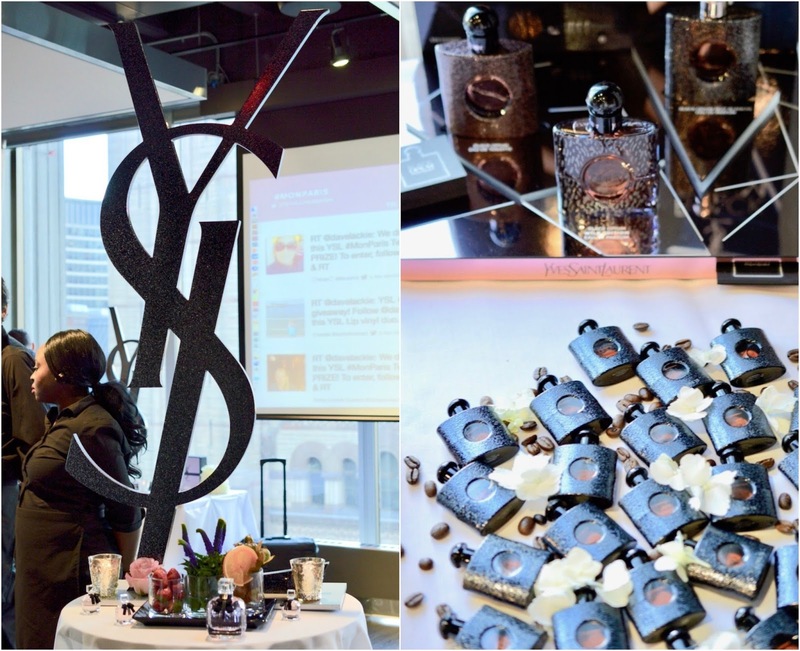 We indulge in exquisite food and dreamy products, while learning about new releases in the world of beauty. 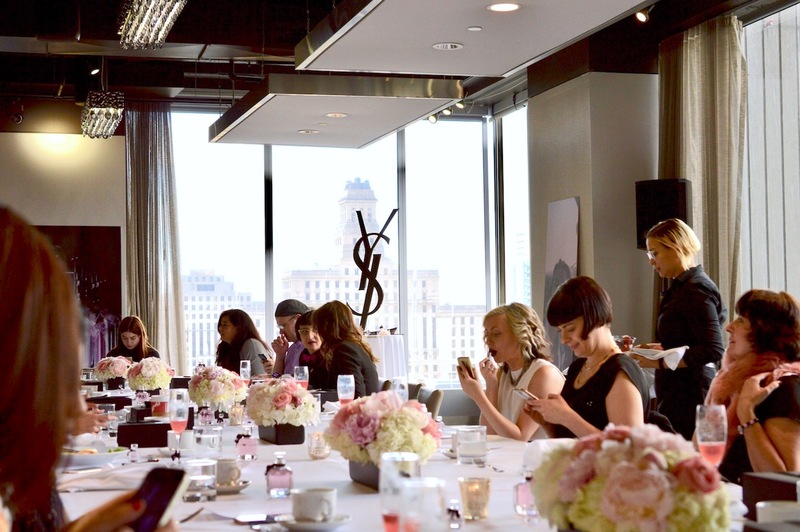 Earlier in December I spent the morning with cherished beauty enthusiasts, over breakfast at the Arcadian Court. 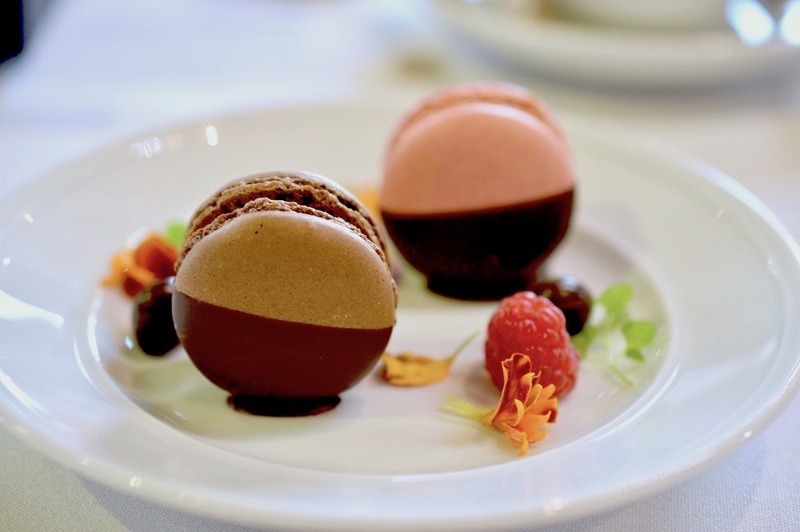 If you've never experienced the delicious bites at Bannock or any of the other Oliver & Bonacini venues/restaurants, you must go soon. 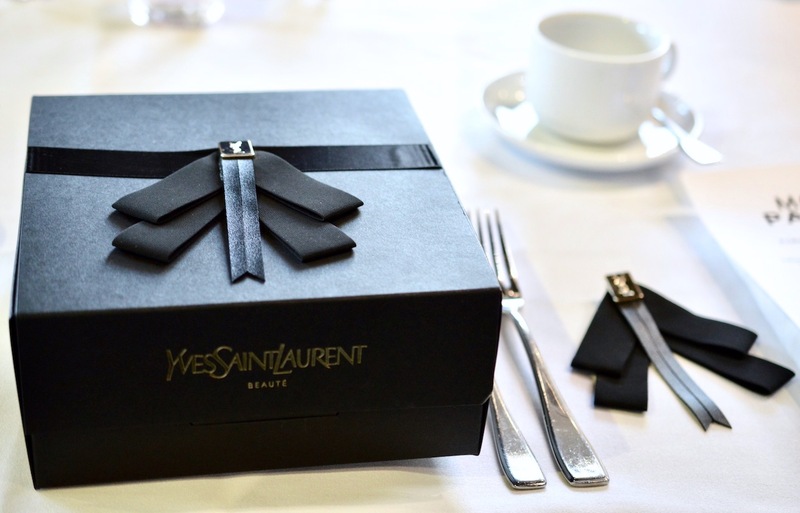 Our place-setting was stunning, complete with a box containing YSL Mon Paris Eau de Parfum, a lavallière, and one of their iconic YSL Rouge Pur Couture Glossy Stains in No.5 Rouge Vintage. 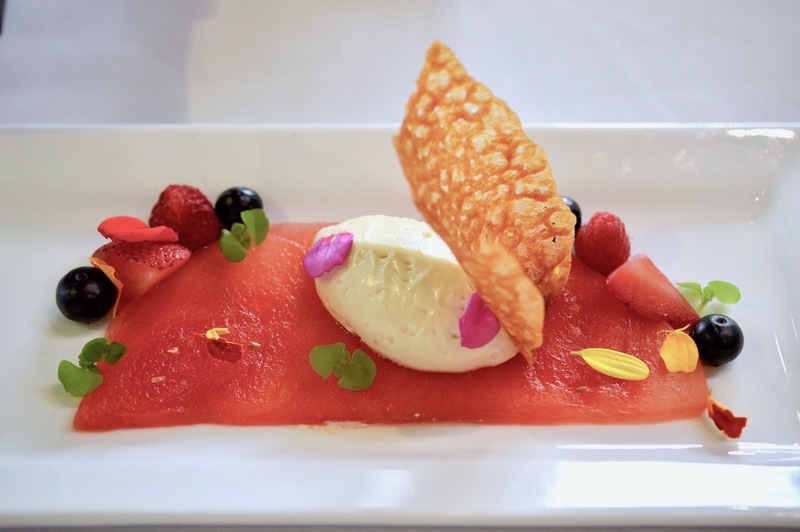 Breakfast began with infused watermelon & preserved strawberry, topped with fresh berries, vanilla scented yohgurt and edible flowers. 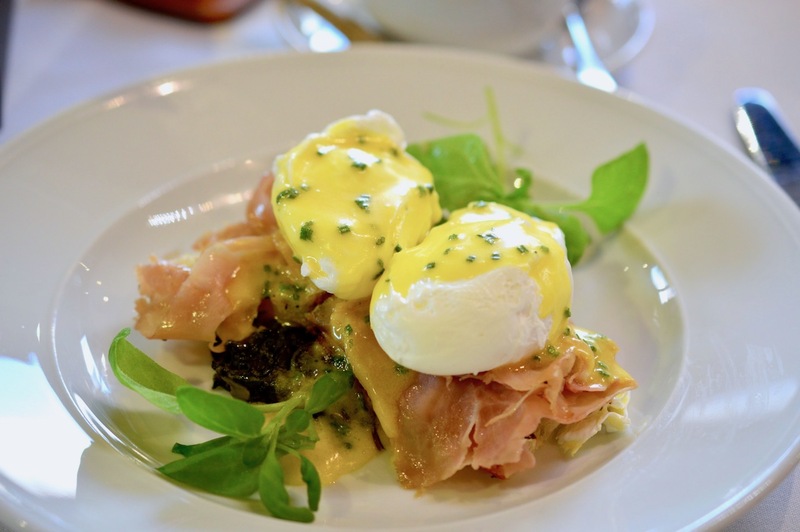 We then enjoyed organic poached Eggs Benedict with Parisian ham, savoury spinach and grilled baguette. The second option was a mulled pear & brioche pain perdu with crème fraiche, pumpkinseed brittle, maple and young mint. We finished off breakfast with raspberry & dark chocolate macarons. My favourite flavour combination of all time. 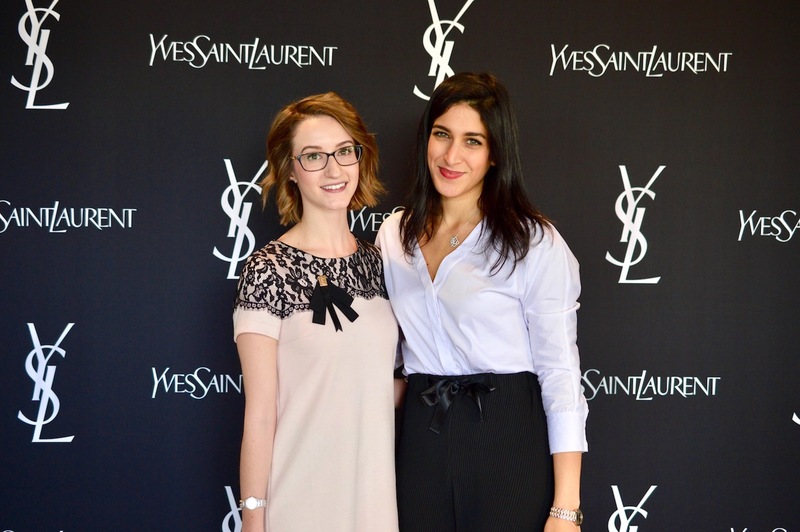 The beautiful Aziza from YSL who planned a spectacular event. She is so kind! 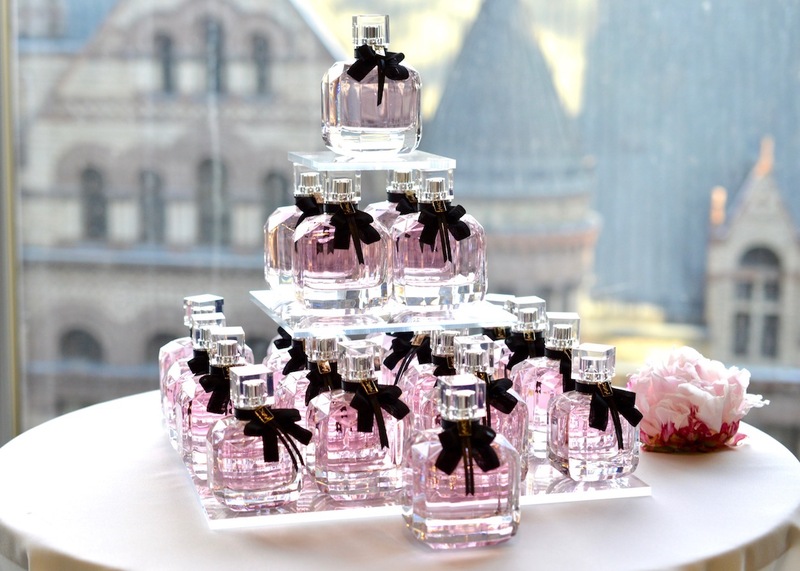 YSL Mon Paris eau de parfum has become my favourite fragrance for winter. 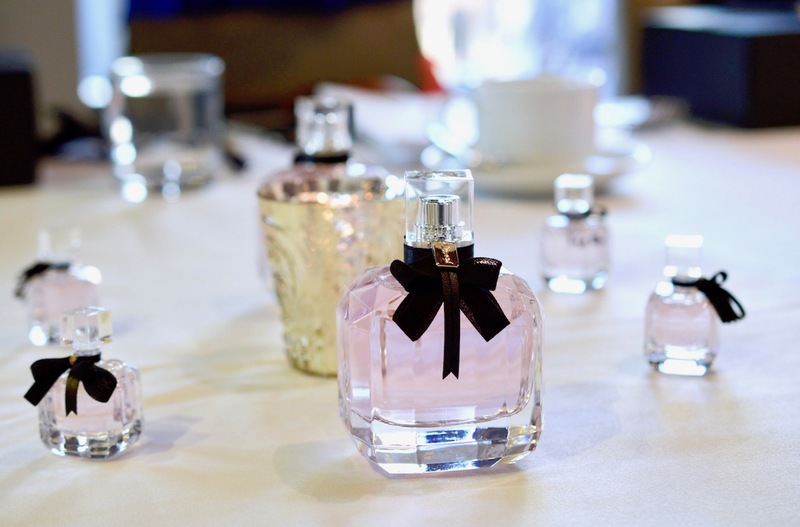 It smells of strawberry, raspberry, bergamot, pear, jasmin, white peony and patchouli. 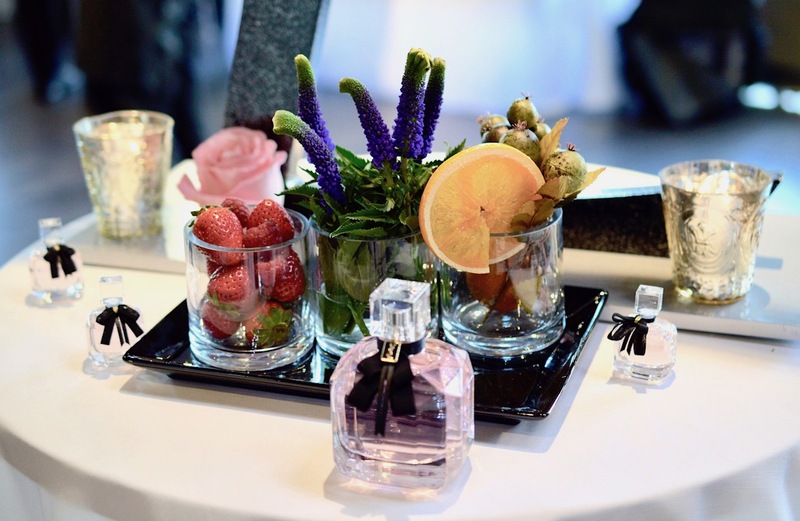 Sweet, light, feminine and fresh. We had a Twitter feed in the background filled with live updates from those at the event, and others around the world using the hashtag #MonParis. 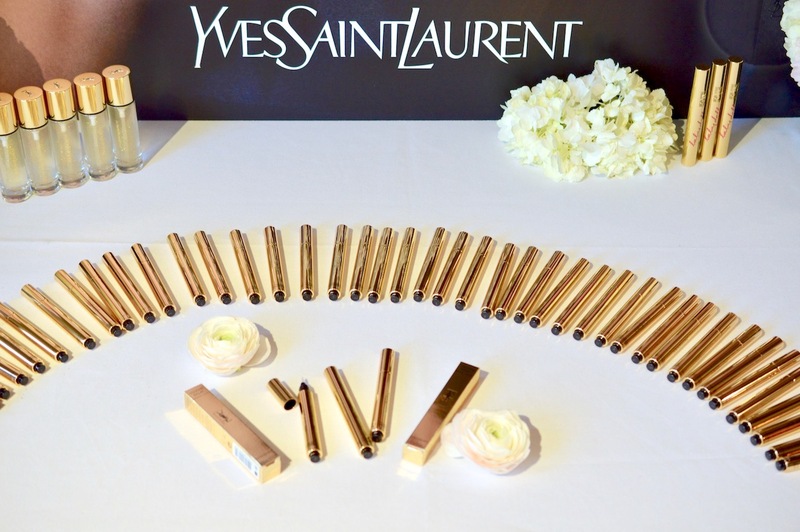 Sending a big thank you to Dave and his team for the unforgettable opportunity to experience YSL, like a true beauty editor.